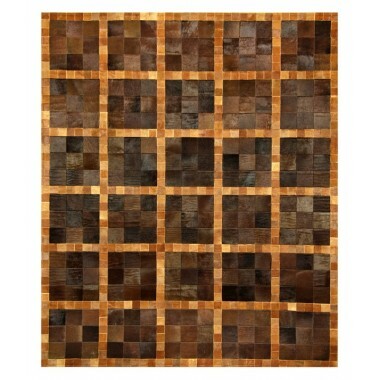 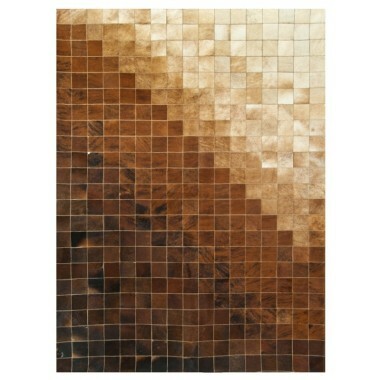 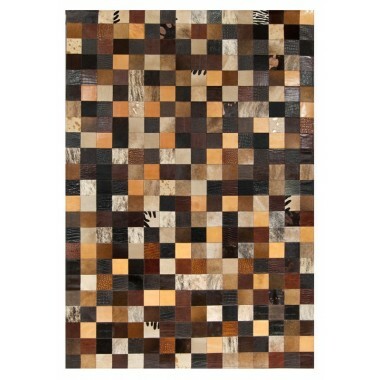 This intricate patchwork rug has a fascinating pattern. 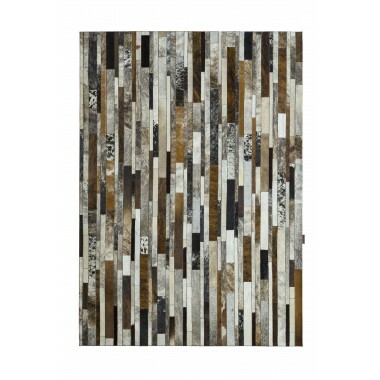 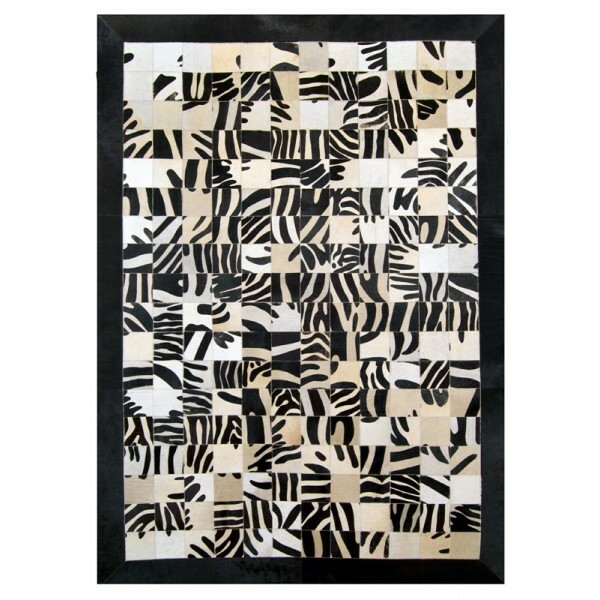 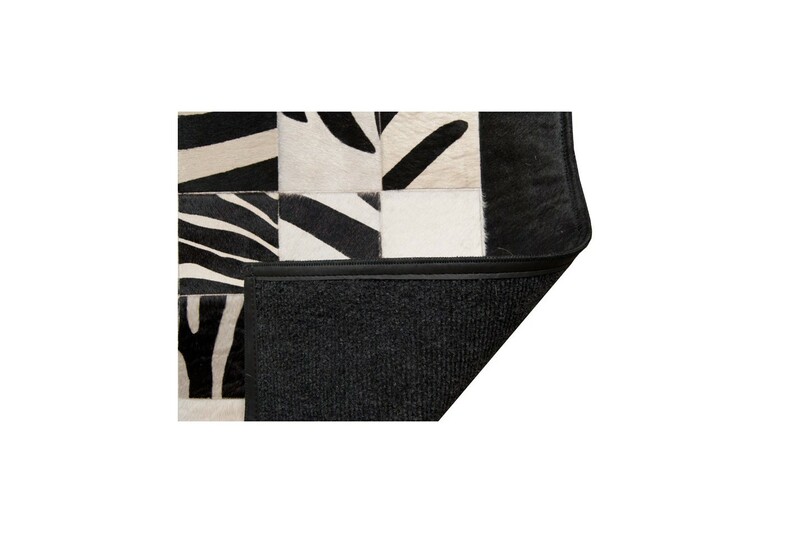 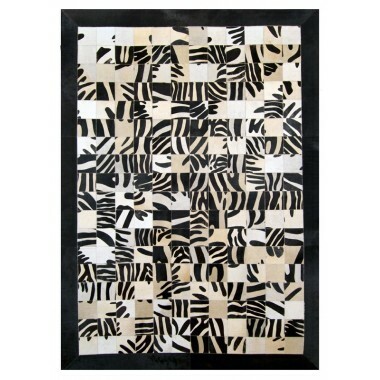 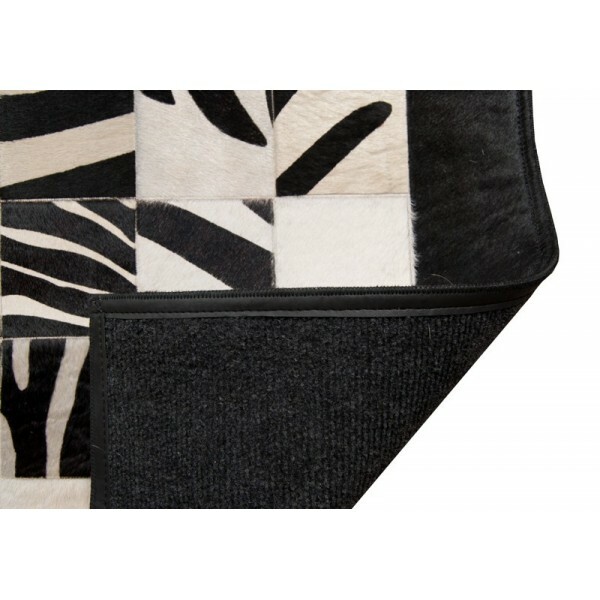 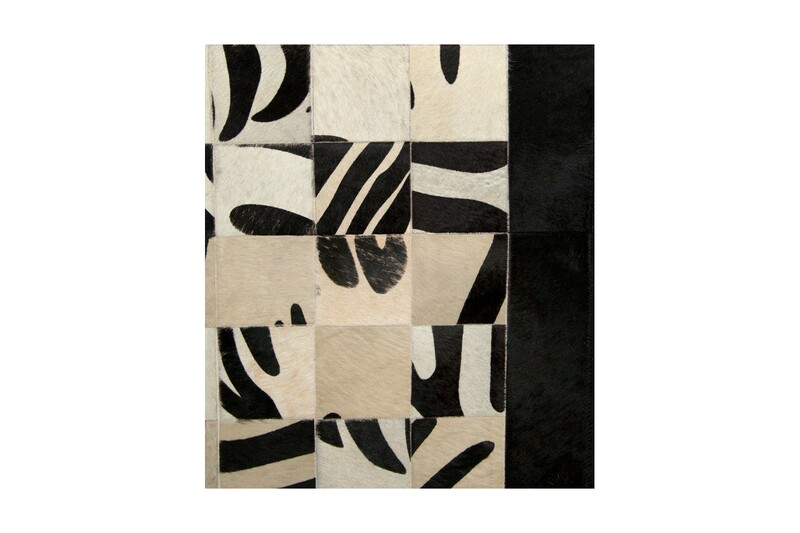 Like a zebra running in the wild, you will see that the rug has twists and turns throughout the design. 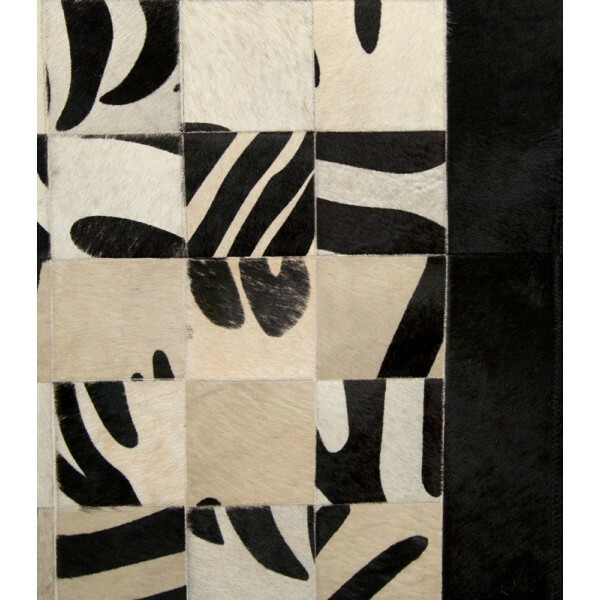 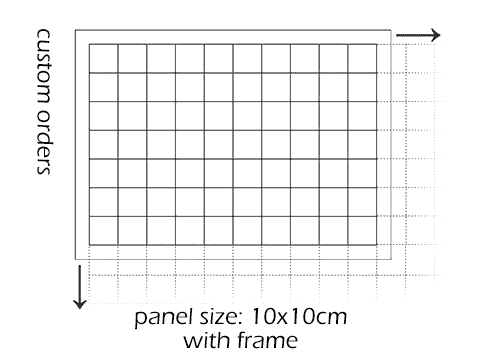 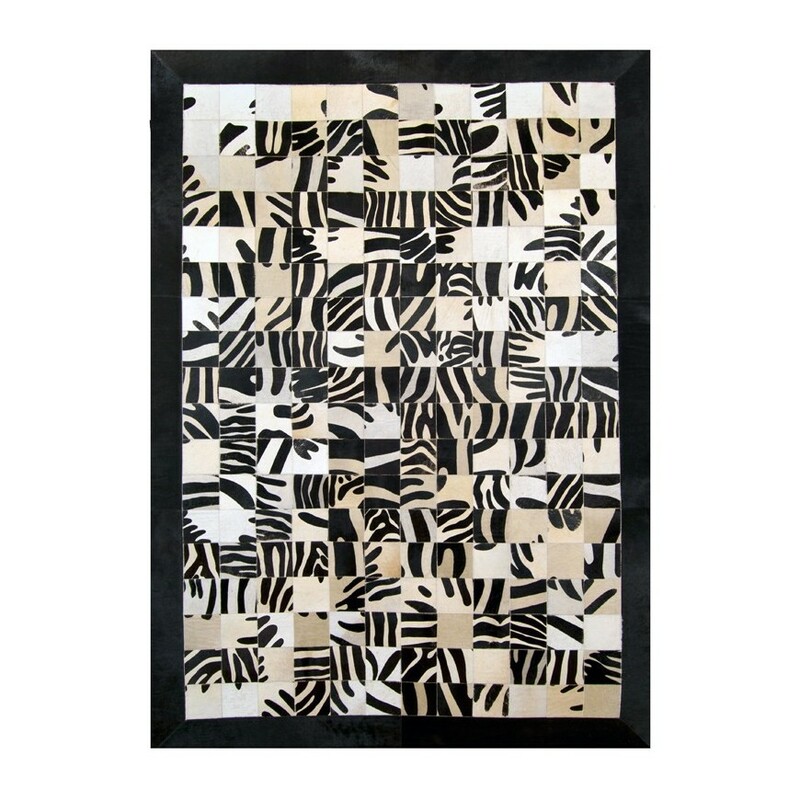 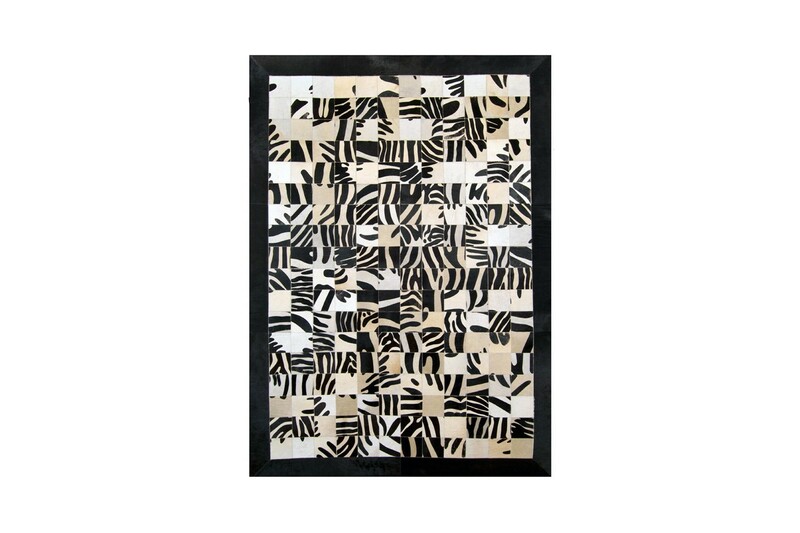 The black and white print will stand out in any room. 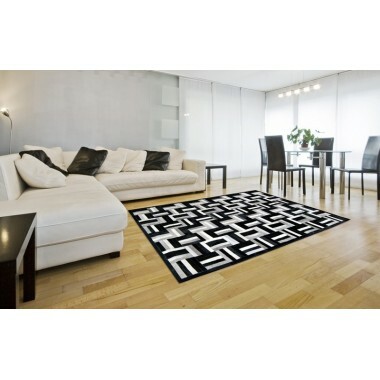 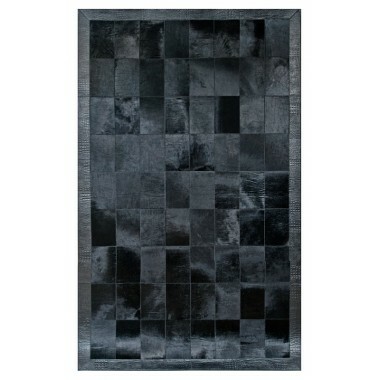 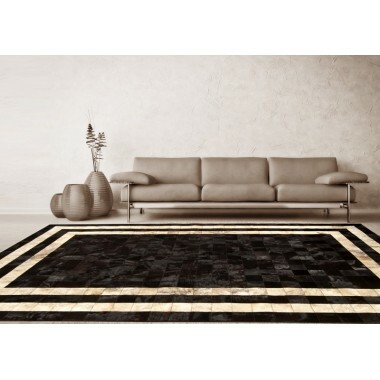 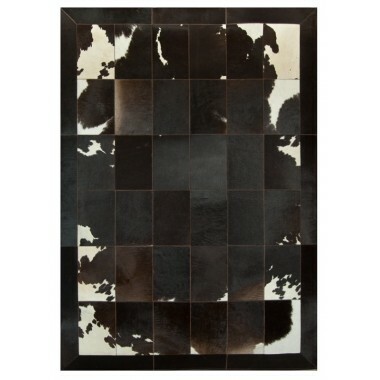 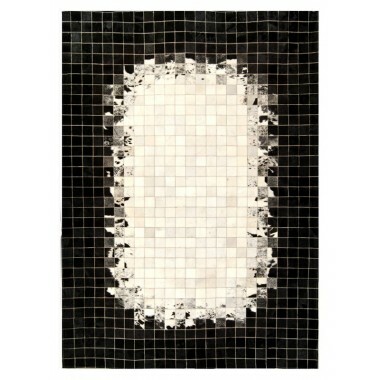 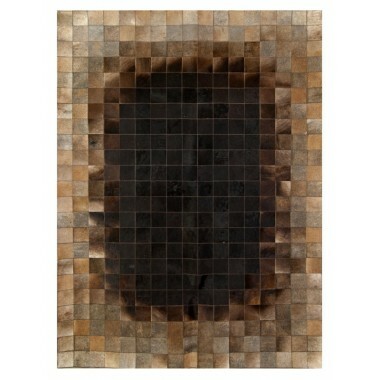 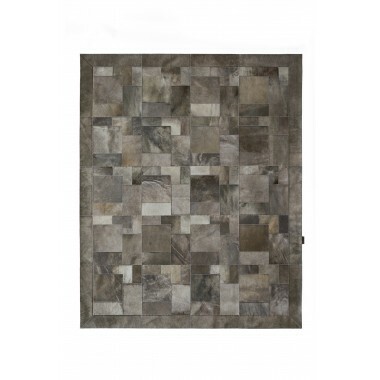 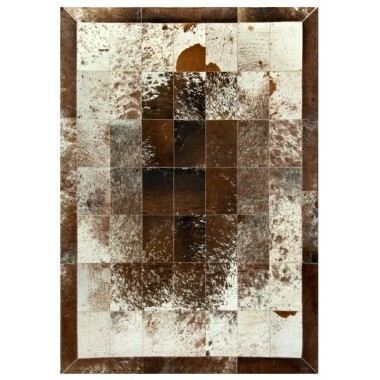 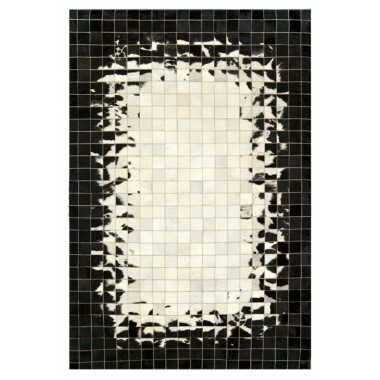 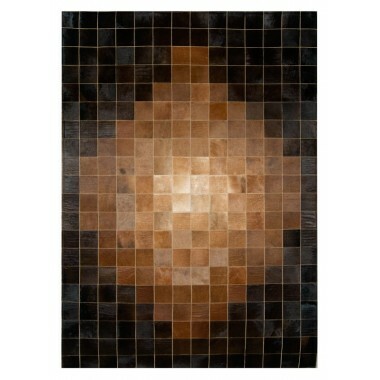 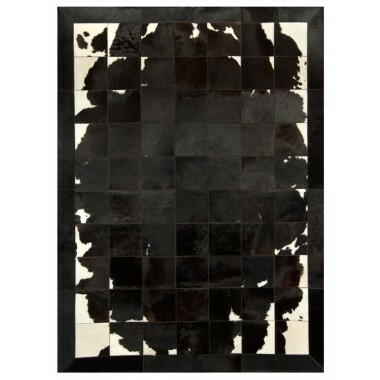 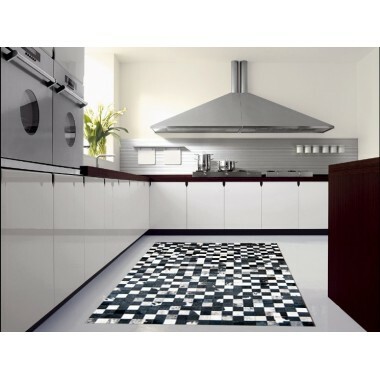 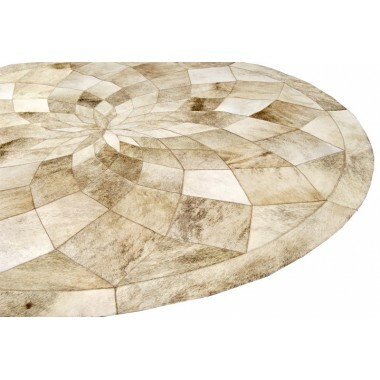 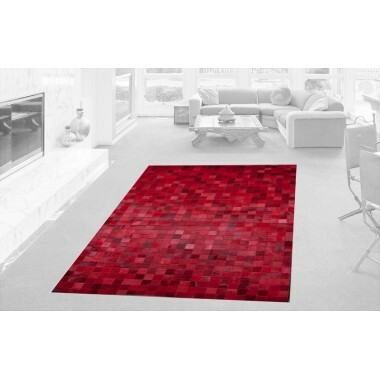 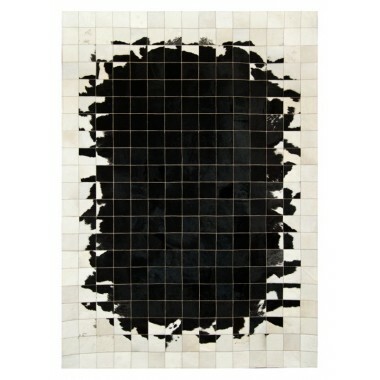 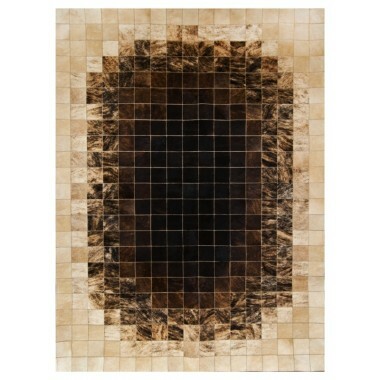 The eye catching configuration portrayed in this space rug will let your mind wander. 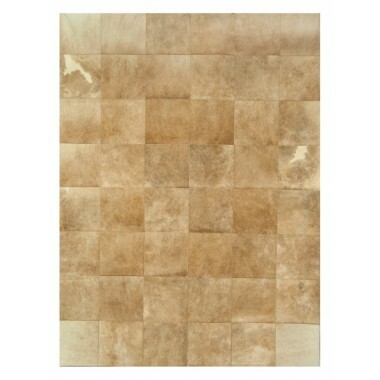 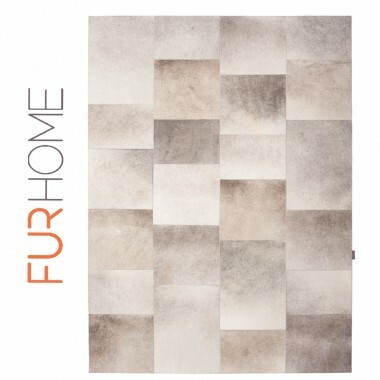 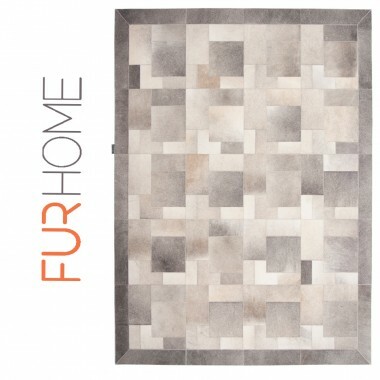 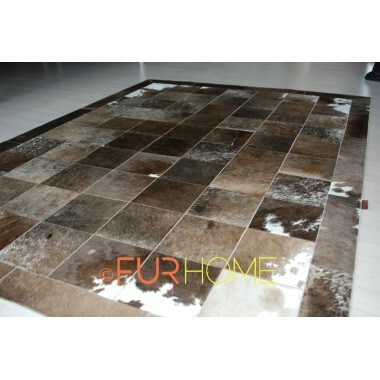 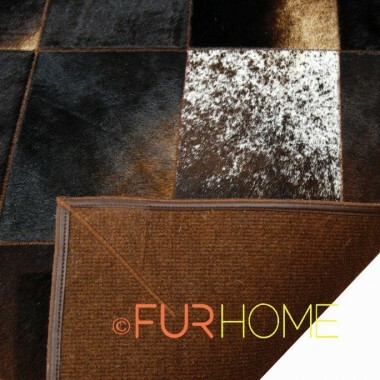 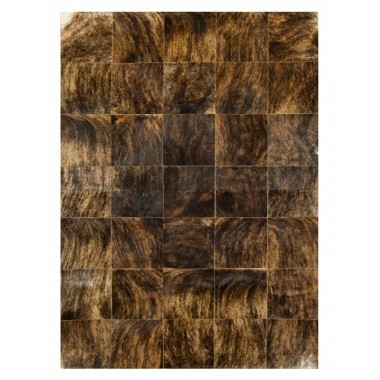 Whether you run wild or simply tip toe across it you will feel this soft rug on your feet before you settle down.